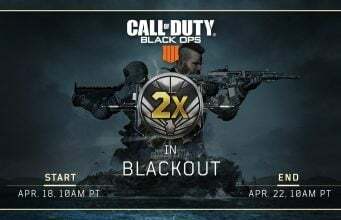 After launching last week on PlayStation 4, Activision and Twitch have now released the Twitch Prime Pack for Call of Duty: Black Ops 4 on Xbox One and PC. 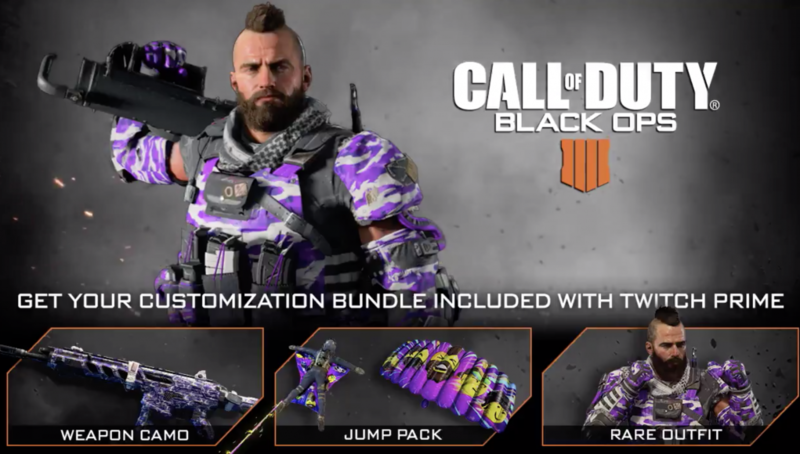 This is the first bundle drop for Call of Duty: Black Ops 4, and Twitch’s website says there is more to come in April and May. The new content is a customization bundle featuring a Twitch-color themed customization options. In order to redeem the loot, make sure your Twitch Prime account and Call of Duty accounts are linked HERE. Once your Twitch Prime account is linked to your Call of Duty account, the content should show up when you open up Black Ops 4 with an “Offer Redemption” screen appearing. This first bundle is available from today through April 29 on PlayStation 4, Xbox One, and PC. Activision and Twitch partnered up for Twitch Prime loot for Call of Duty: WWII last year, and this marks the second year of a Twitch Prime promotion for Call of Duty.